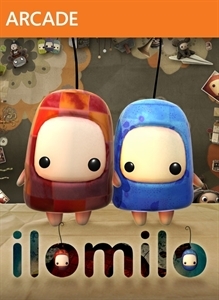 "Explore the visually lush dream world of IloMilo. Challenge yourself with exciting puzzles as you dive deeper and deeper into the story. Play along with a friend or family member and share the journey. Beautiful and full of charm, the game is equally appealing to seasoned gamers and young families alike. The puzzles are easy to learn, but challenging and deeply rewarding to find all the hidden surprises. Experience the unique, fun new co-op experience where you and a friend or family member can take control of ilo and milo and help guide each other through the exciting puzzles."